I’ve lived here in Cambridge for close to a decade and have noticed a certain phenomena. We seem to lag behind when it comes to getting certain amenities in our town. Kitchener, Waterloo and Guelph tend to be a little more avant garde when it comes to opening new businesses, be it a certain style of restaurant or maybe a new category of business that didn’t exist previously. Then all of the sudden we’d be inundated with a bunch of these businesses in Cambridge. My first experience noticing this was with shawarma shops. This Mediterranean/Middle Eastern dish was something I first tried at a restaurant called Arabesque Cafe on Victoria in Kitchener. From this point I was pretty much hooked on the deliciousness of shawarma. 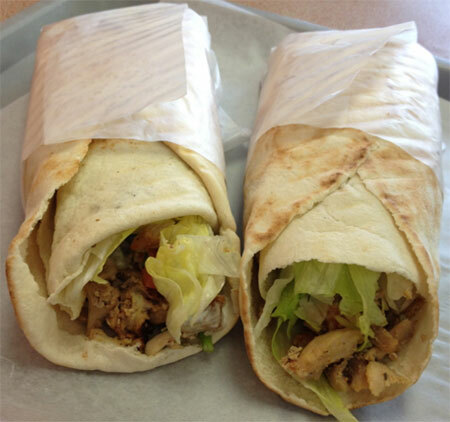 While Arabesque wasn’t too far away, I pined for the day Cambridge would have a shawarma place to call it’s own. Well that day came maybe a year later, when Diwan Restaurant opened on Langs Drive. Then Pita Hot opened on Hespeler Road. Then we had Tops Shawarma in Hespeler, Shawarma OPS along Can-Amera Parkway, DT Shawarma on Christopher Drive and Crazy Shawarma in Preston. It got to the point the market became saturated. Tops Shawarma closed awhile back and Crazy Shawarma closed down quite recently. Another similar wave happened in the last 2 years when it came to burrito places. We went from having zero to now having Burrito Boyz, Mucho Burrito and 2 Quesada locations. There were no BBQ joints in town, then we had 2 open in short order with Q BBQ and Smokin’ Tony’s(which has since closed). We’ve also seen similar gold rushes when it comes to K-Cup sellers and Vape shops in town. I can’t even keep track of how many Vape shops there are now. Small business owners don’t really have a way of knowing what another local entrepreneur might be thinking when it comes to planning a new endeavour. And really there is nothing wrong with having competition and choice in the market, because that’s really a boon for everyone in the community when you achieve those things. The issue here is seeing hardworking small business owners seeing their business fail because too many competitors entered the space nearly simultaneously. I’m not sure if there is an easy solution to this problem, but I do wonder if it’s something the Chamber Of Commerce or the local BIAs could help steer new business owners in another direction when it comes to planning businesses? Maybe even the Small Business Centre at City Hall could help as well. I also wonder if there is a role social media could play in spreading the word about new businesses opening up. I know quite a few times I’ve caught wind of new businesses setting up shop in Cambridge well before they opened their doors. When it comes to under-serviced niches buzz spreads fast through social media and word of mouth. People are often excited to hear a new type of business is opening. It would be interesting to see if there was some type of actionable way to anticipate if a market glut was coming. 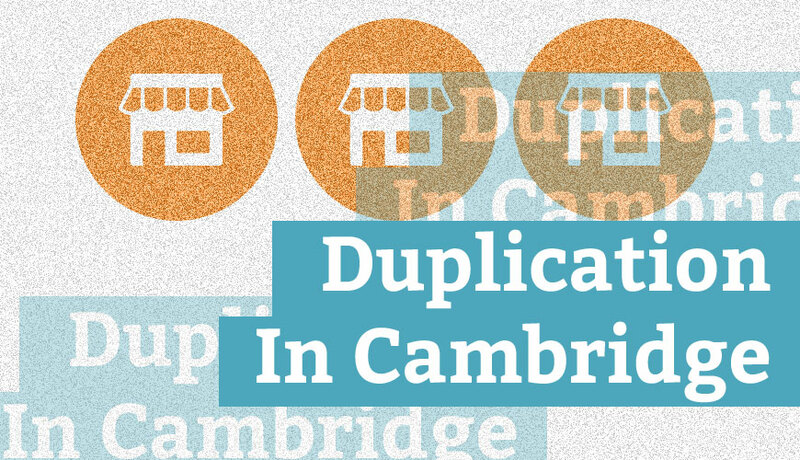 Ideally we want to see thriving small businesses in Cambridge. It is a little disheartening knowing that business owners put their hard work into getting a business off the ground only to see it close because their niche was over-saturated.